I was made aware of the Brewery Ommegang this Christmas when I was gifted a bottle of their Hennepin and Three Philosophers. The brewery is owned by the Belgian company Duvel Moortgat that makes the lovely beer Duvel, but is brewed out of Cooperstown, New York. This beer is 98% of a Quadrupel Ale and 2% cherry Lambic Ale and is so unique I felt I needed to share. 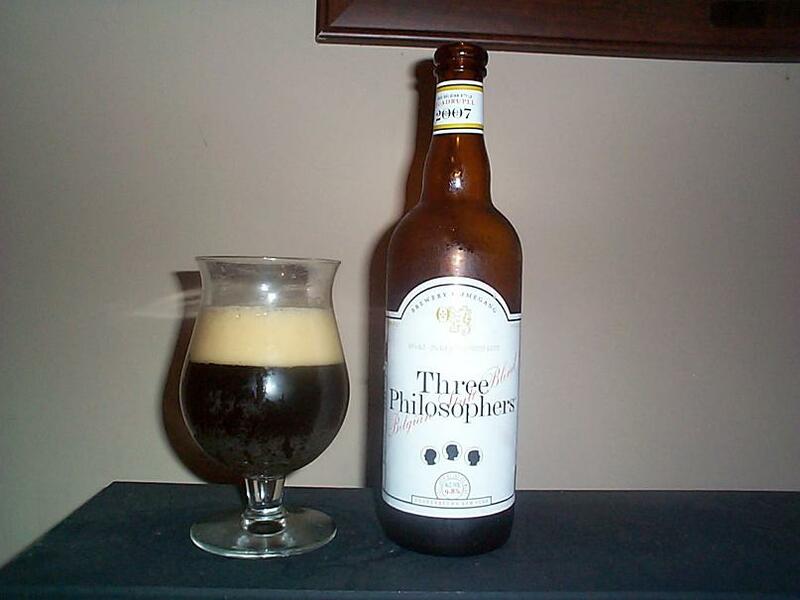 This 2007 edition of Three Philosophers pours with a solid inch or more of thick light brownish head, but is not over carbonated. The aroma of this beer is nice, smells of alcohol, slight cherry and heavy malt. Color is a dark brown but lovely red tones come out under light, this beer is very opaque but not hazy. The flavor of this beer is the kicker, this time around it seems a bit more carbonated in the mouthfeel but not overly heavy. 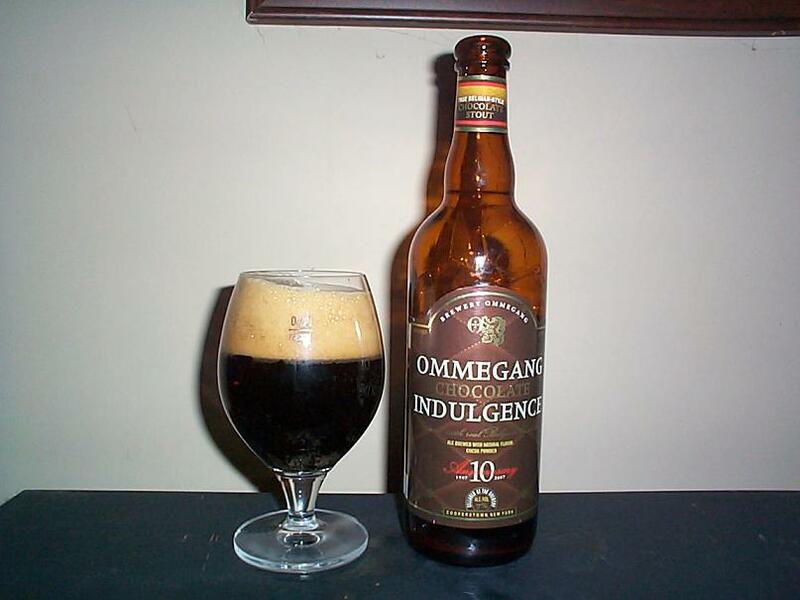 Alcohol is present which is no surprise at 9.8% ABV which is slightly dulled down by the smooth massive malt profile of this beer, but does not hesitate to resume as finish your sip. The cherry in this beer is what makes it so nice, though the smooth malt and alcohol flavors are the most prevalent the cherry flavor sneaks in towards the middle of the palate and if you let it will stick nicely with you even after finishing your sip, it is not syrupy at all but has a nice sweet and sour flavor that is very natural tasting. This is a very different attempt at a Belgian Quadrupel Ale but I think it is quite good. If you are looking for a strong but not bitter Belgian Style Ale this is not a bad choice, particularly if you like a light fruit hint and don’t mind a slightly alcoholic flavor. GIve it a shot and ride your bike.